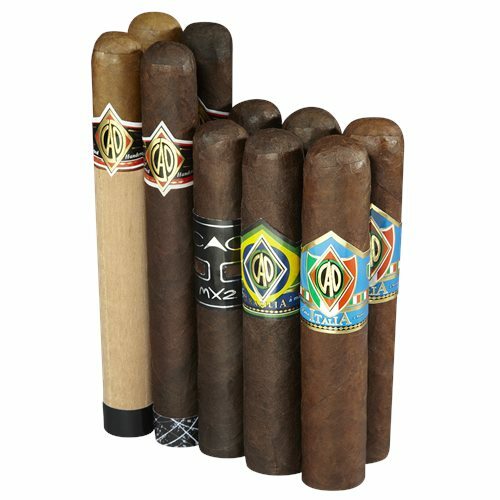 When it comes to delicious boutique cigars, few brands have captured the hearts of cigar enthusiasts like CAO. When it comes to delicious boutique cigars, few brands have captured the hearts of cigar enthusiasts like CAO. Includes 10 delicious blends that showcase the best of the best from this notorious brand. This Sampler lets you enjoy the best of their wares, all in one shot. Treat your palate to a bevy of flavors.